In this article we explain all you need to know about Arbitrage betting. 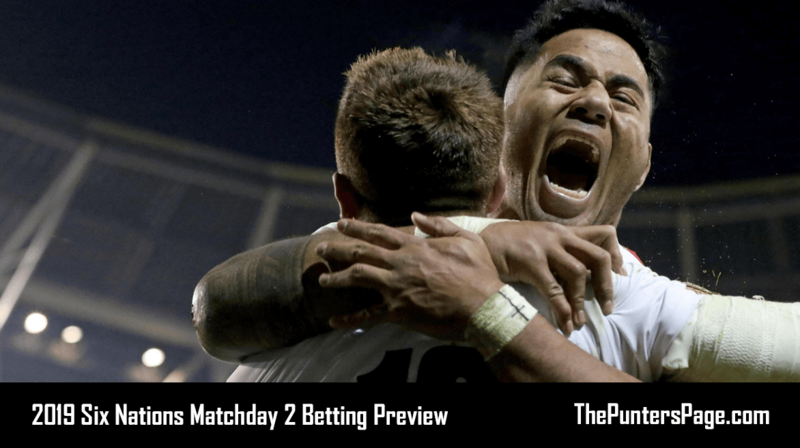 This includes exactly what it is and how it works, an example of an arbitrage bet, the pros and cons and more. Arbitrage betting (also known as ‘surebets’), is one of the most talked about and controversial methods in sports betting. It is a technique that has existed since the beginning of bookmaking. However, it has gained a significant increase in popularity over recent years due to the advances of technology and the rise of online bookmakers. So, what exactly is arbitrage betting? 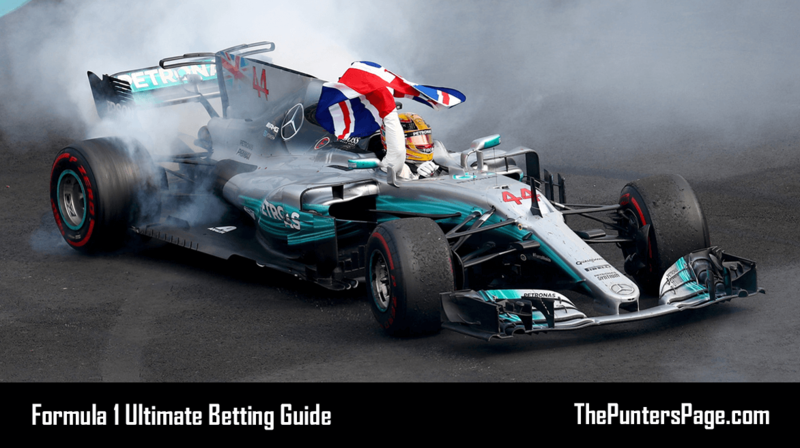 Arbitrage betting (‘Arbing’ for short) exploits opportunity to place proportionate bets on every possible outcome on the same event in order to guarantee a profit, regardless of the final result. 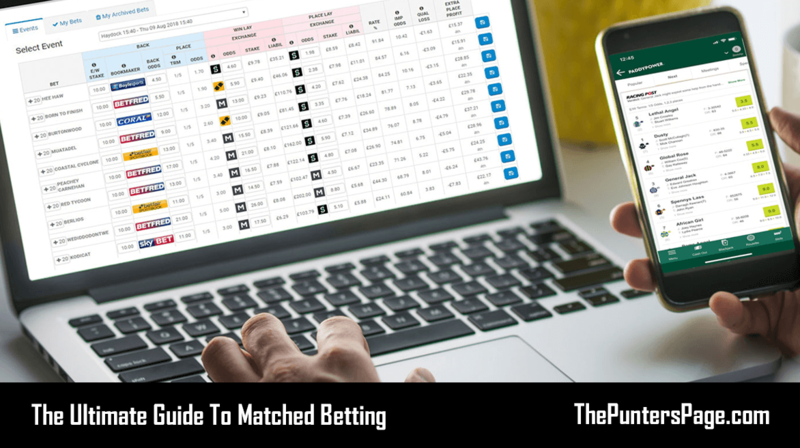 It is important to know the difference between arbitrage betting, which exploits odds and Matched Betting which exploits free bets. A difference of opinion between bookmakers. Arbitrage betting is 100% legal as the arber is simply exploiting price differences within the market. Understandably however, some online bookmakers do not like the concept and may therefore restrict or close the accounts of those they suspect of engaging in it. Because of this, many arbers may decide to use betting exchanges who are not known for prohibiting customers. Betfair have one of the best and most popular online exchanges. For a full rundown of how it works and what it has to offer you can read our ultimate Betfair exchange review. 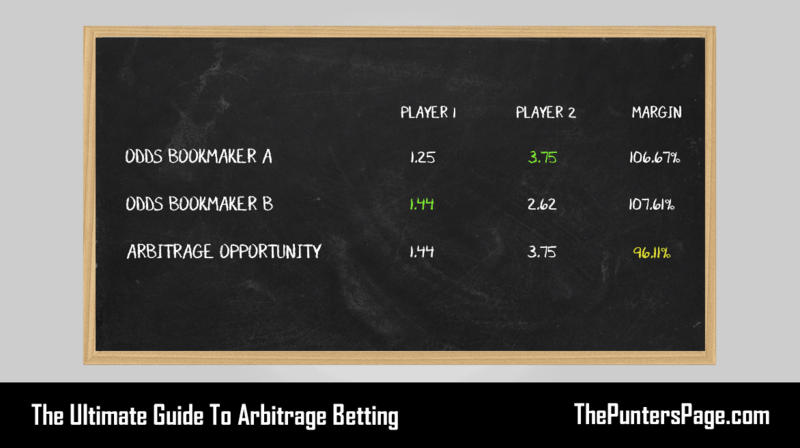 The best way for you to really grasp the idea of how arbitrage betting works is through an example. To make things simple, we will use a tennis match between ‘Player 1’ and ‘Player 2’ and odds from ‘Bookmaker A’ and ‘Bookmaker B’. We will assume we have a betting bank of £100. As you can see, by taking Bookmaker B’s odds on Player 1 (3.75) and Bookmaker A’s odds on Player 2 (1.44), the margin becomes in favour of the bettor and provides a guaranteed return of 3.89% (100-96.11). Once we have calculated the margin, we then need to ensure our stakes are in proportion to the odds. To do this, simply divide your total stake by the odds and then multiply this number by the profit margin. So in this case, we would have to stake £72.25 on Player 1 (£100 ÷ 1.44 * 1.0389) and £27.75 on Player 2 (£100 ÷ 3.75 * 1.0389). 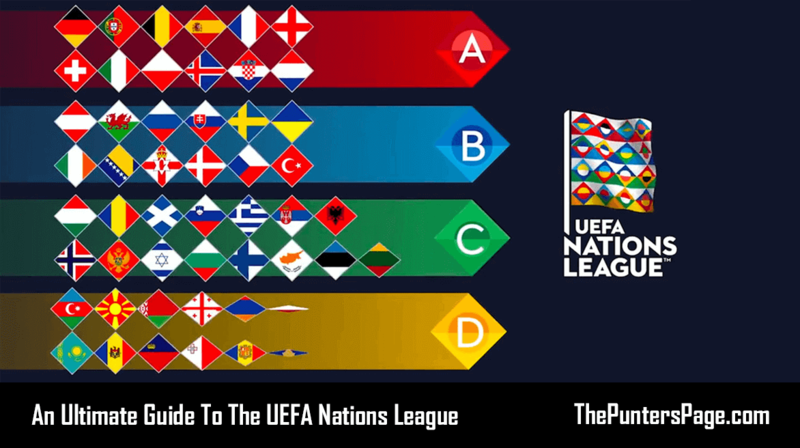 Therefore, with a total outlay of £100, we will grantee a profit of £4.00 regardless of which player wins. Many arbers will have accounts with as many betting sites as possible and will switch between them. 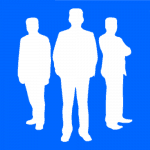 This ensures that bookmakers do not become suspicious or spot any patterns. If you can avoid being suspected, arbitrage betting can be profitable. Fluctuations in odds mean that arbs may only be available for short periods. If you are able to monitor the market and quickly take advantage of opportunities then you can make consistent long term profits. As mentioned earlier, bookmakers disapprove or any arbitrage techniques. Whilst it is not illegal, bookmakers will monitor people’s betting habits and trends. Should they be winning constantly or if they suspect you are arbing, they may close your account or suspend you. Alternatively they may simply limit your maximum stake. Arbing is something that requires a lot of time and dedication. It also involves relatively large sums of money, given that 98% of opportunities return less than 1.2%. Track Your Bets – Use a spreadsheet to keep a detailed record of your bets. Open Accounts – Create accounts with multiple bookmakers. Not only will you be able to take advantage of free bets and bonus sign up offers, but you can switch between sites and be less prone to being suspected. Always Check Your Bets – Ensure you are placing the right stakes on the right bets. Arbitrage betting is a technique used to cover all possible outcomes in order to grantee a profit, regardless of the final outcome. Given that the typical return is between 2-5%, Arbing can be a rather tedious process and requires large stakes. However, if you have time, patience and dedication, it can be great long term investment.